ANOKA, Minnesota - October 24 2018 - Federal .224 Valkyrie was named the Ammo Innovation of the Year at the 2018 National Association of Sporting Goods Wholesalers (NASGW) annual meeting in Pittsburgh Pennsylvania. The new .224 Valkyrie provides extremely flat trajectories, match accuracy and supersonic velocities beyond 1,300 yards. It also offers significantly less wind drift and drop than other loads in its class, as well as less than half the recoil of cartridges with comparable ballistics. Federal’s .224 Valkyrie cartridge, initially available in four of its proven product lines, offers serious options for competitors, long-range target shooters and hunters pursuing varmints to deer-sized game. These options include 90-grain Gold Medal Sierra MatchKing, 60-grain Nosler Ballistic Tip Varmint, 90-grain Fusion MSR and 75-grain American Eagle TMJ. 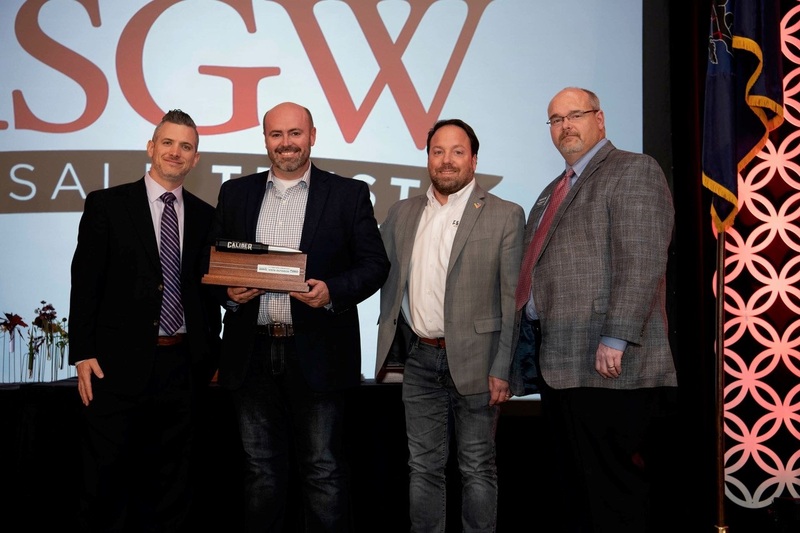 The NASGW-POMA Caliber Awards honor the highest caliber new products in six product categories including: best new rifle, handgun, shotgun, ammunition, optic and accessory. 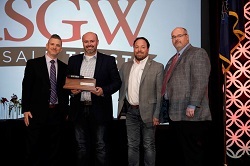 An independent panel of 18 industry judges from the Professional Outdoor Media Association (POMA) and NASGW select the Caliber Award winners. The National Association of Sporting Goods Wholesalers was organized in 1953 and incorporated in 1954. The NASGW is the organizer and sponsor of the industry's former Hunting Show, now known as the NASGW Annual Meeting/Expo Event. This annual event provides an unmatched educational, marketing and communications opportunity for the hunting and shooting sports wholesaler, manufacturer and sales professional. For more information on Federal Ammunition, go to www.federalpremium.com/.